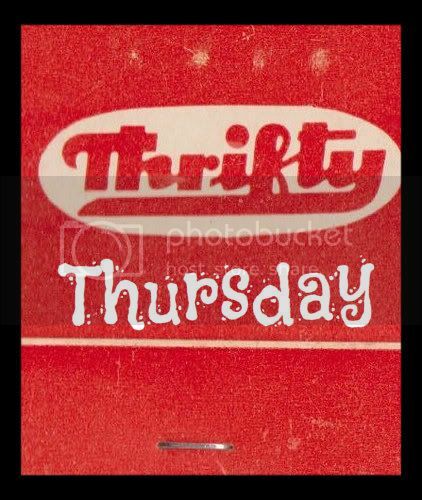 In the past, I've blogged quite extensively about my enormous feet and how difficult it can be for us poor afflicted large footed ones to get nice ladylike shoes. With this in mind, I don't really bother spending large amounts of money on shoes, particularly Summer shoes, as my big aggressive feet always seem to knacker them. Last year I spent over £50 on some sandals from Dune. They are really nice, but I've hardly worn them because I failed to spot a problem with them - I have to fasten them with a buckle. What mother has time to actually do up the buckles on her own shoes! 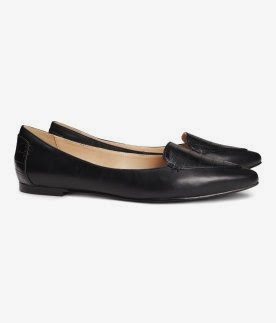 Yes, slip on or minimum fastening has to be the way forward, and when it comes to Spring/Summer shoes, it has to be ballet style pumps for me. I usually like to get cheap and cheerful versions of these and then just bin 'em at the end of the Summer, works for me! Anyway since the weather has picked up, I've spotted that H and M have got some fabbo ones in the offing, and it's probably worth getting them now before they sell out, especially if you are a bit, erm challenged in that area. I had some like this years ago when I lived in Madrid, I got them in Zara and I wore them to death so I had to throw them away, but I was gutted and I've looked for something similar ever since. They are like the shoes of Christmas past or something, anyway, I think I've found a replacement! I'm a bit torn about these next ones, as I can't decide what colour to get, though at £7.99 there's an argument for getting them all! 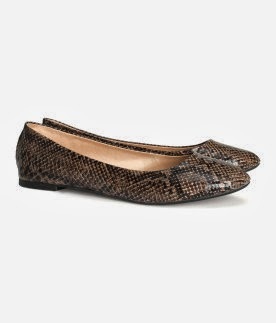 Back in the nineties, I loved anything snakeskin, and for that reason alone I love these. Plus they will go well with jeans and black trousers...what do you think? 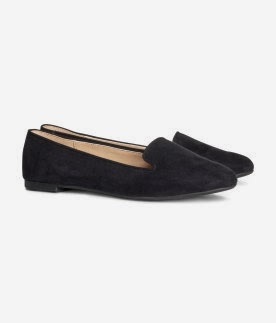 I was looking for some sort of, "general" shoes that will just go with ANYTHING and these fit the bill, these black loafers are £9.99 and I had some similar ones last year that were really comfortable, (after a while anyway) so I think these are a good buy too! How to choose? Shall I just get them all? !